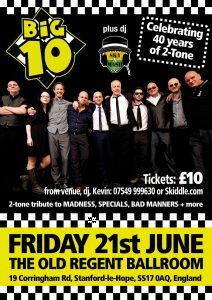 Big 10 return to Essex for another marvellous night celebrating 40 years of the 2-tone label and more. The 10-piece band have developed into one of the top ska acts with a massive following in Cambridge and excellent shows at all the major Ska festivals. We’re lucky enough to grab one of their dates from their very busy diary and this promises to be a busy night for them with 2 x 1-hour sets. DJ support from Ska N Mash providing a huge array of tracks from ska, reggae, 2-tone, mod and Motown. 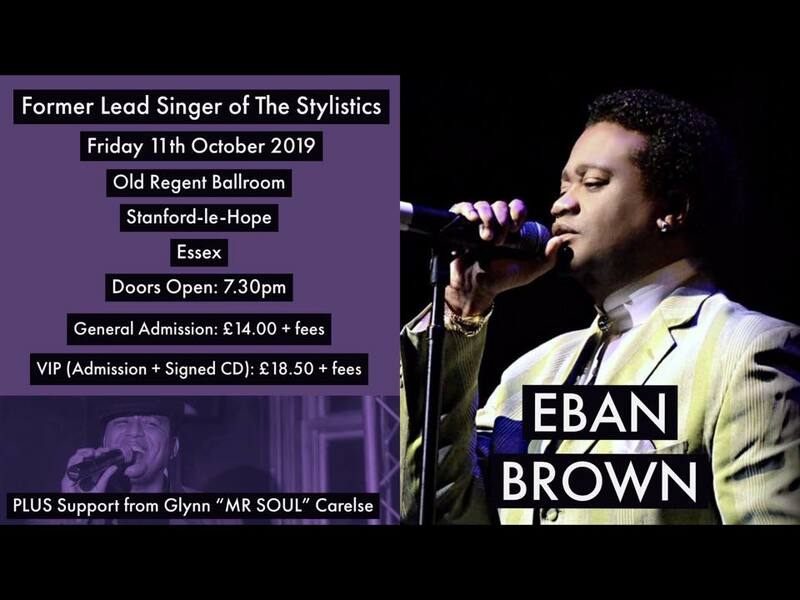 Tickets £10 from in 2019 the venue. 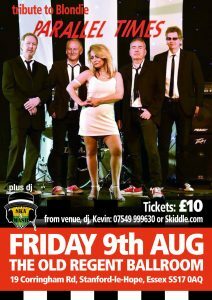 DJ support from Ska N Mash providing a night of new wave, punk, 2-tone and 80s classics. Tickets £10 available in 2019. 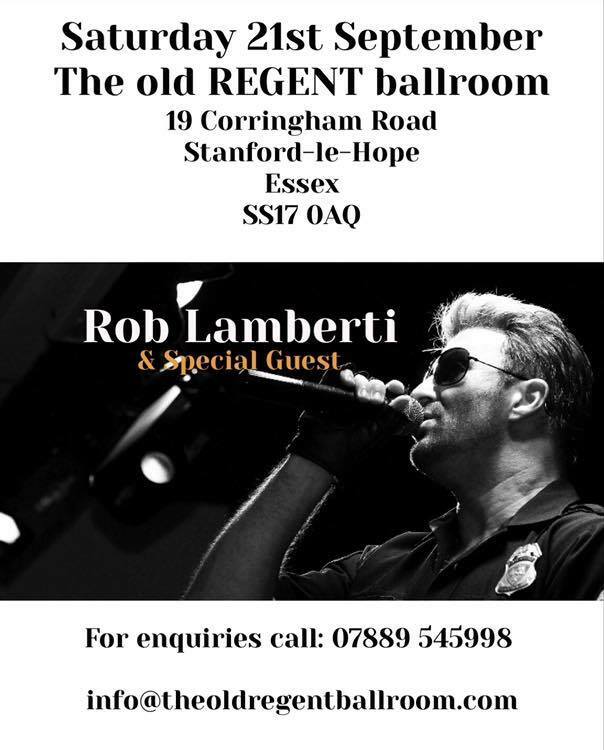 We are thrilled to confirm Rob Lamberti will be performing at The Old Regent Ballroom on Saturday 21st September 2019. Credited as THE Number ONE tribute to the legendary late George Michael. Tickets just £15 each. DJ playing after the set till 1am also. Includes appearance by special guest. Doors open 7.30pm till 1am. Over 18s only for this event please. Strictly No food or drinks to be brought into the venue. Joe Longthorne returns to The Old Regent Ballroom in 2019 with his band and special guest for a great evening’s entertainment. Doors open at 7pm. Show time 7.30pm. The Old Regent Ballroom is a premier Essex events venue, well located within easy reach of all major roads and rail networks, it offers a warm welcome and offers the finest hospitality to all guests. Seating strictly allocated on a first come first served basis, ie book early to ensure front seating. For box office options please call or text: 07484 695964. 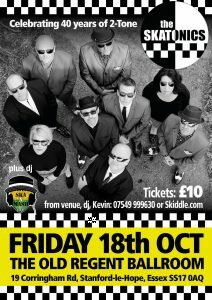 The Skatonics return to Essex for another marvellous night celebrating 40 years of the 2-tone label. With male and female vocals expect to hear classics from Madness, Specials, Selecter, Body Snatchers, The Beat and Bad Manners. DJ support from Ska N Mash providing a huge array of tracks from ska, reggae & 2-tone..